Sparkle Magic Laser Lighting has many uses, year round! Our Lights are able to spray a 25 ft x 25 ft projection. 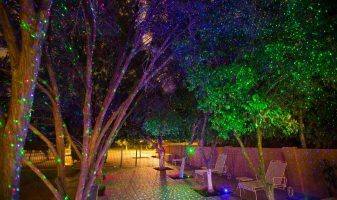 Lighting a Tree, a wall, a building, garden or pool can all be done with our Laser Lights. 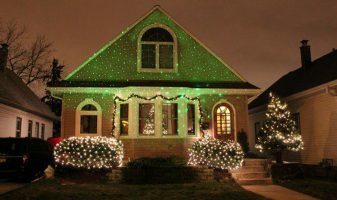 Christmas lighting displays are a breeze with Sparkle Magic laser lights. Shine beautiful colors on your home or trees in minutes! Sparkle Magic Laser Lights are an excellent in Commercial settings. 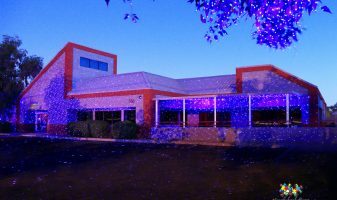 Our Lights have been used by Churches, Schools, Businesses, Zoos, and Gardens. Our lights are easy to set up at any venue. 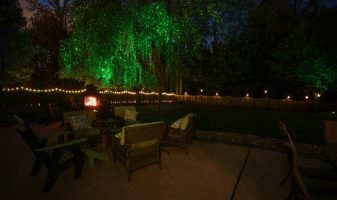 Whether its lighting trees in an outdoor garden or uplighting in a tent or ballroom, our Lights can do it all. The Sparkle Magic Laser Light can also be used indoor lighting. You can point these lights at windows, mirrors and drapes with accent any indoor space. Sparkle Magic Laser lights are excellent around the pool. 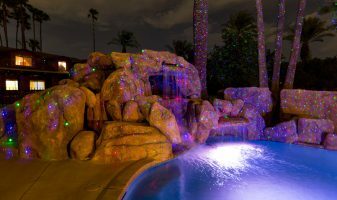 The laser lights reflect off the surface of the water creating a dazzling display.